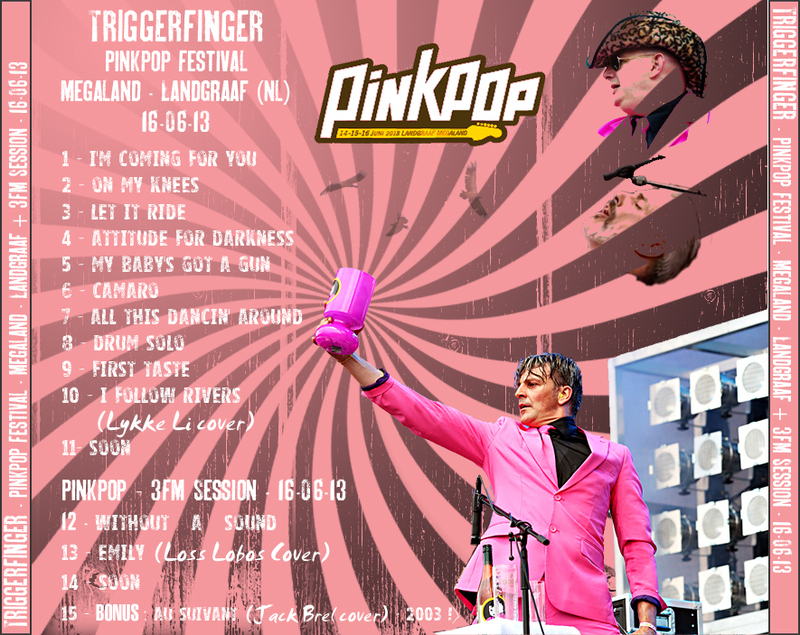 I'd been undecided for quite a long time whether I would go or not to Pinkpop this year. The line up was tempting, Queens Of The Stone Age, Triggerfinger, ... ! I eventually stayed home, The Netherlands mean quite a long drive from here, but I didn't miss the live stream of one of my favourite band. And, on that sunday evening, they were once again impressively awesome !! They had been on a touring break for about 2 months and I was looking forward to seeing what they were up to and if they had any new material. I didn't get disappointed. The new song, "Attitude For Darkness" is quite engaging, based on an old school rock boogie riff that passed through the audience just like another great Triggerfinger's nugget. But the masterpiece of the show is no doubt "My Baby's Got A Gun". 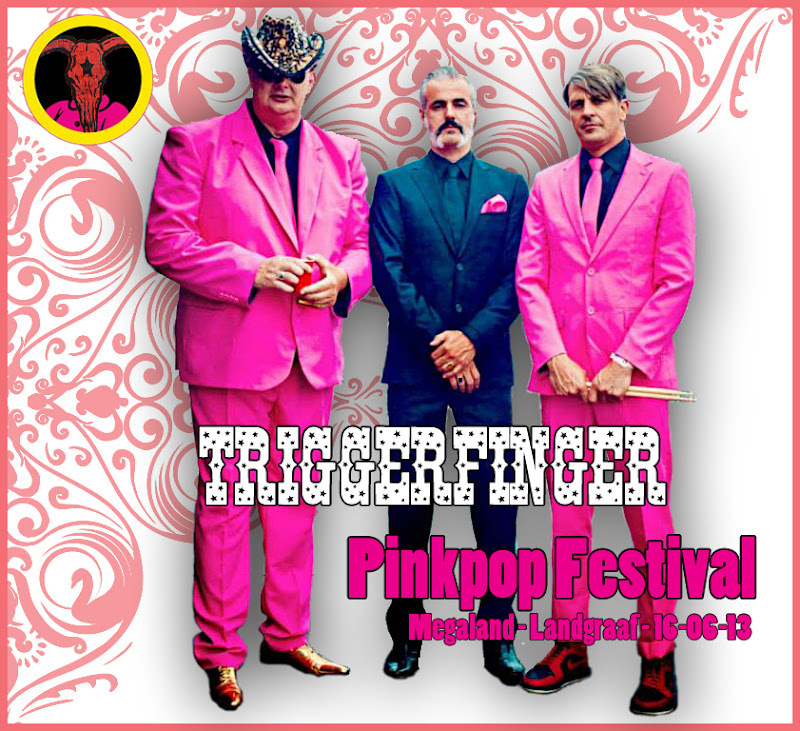 I've seen Triggerfinger quite a few times, live and on screen, and this number is not my fav of the last album, but I must admit that, here, the band delivered a devil possessed version of the track. Mario and Mr Paul's rhythm section is pounding as ever, Ruben's voice is at his top and his circular-saw riffs rip the song apart all the way (as you can hear below from the soaring take-off at 2'48) ! Looks like Mario is particularly keen on being back on stage too, when you see him screaming, licking his cymbals, leaving his drum kit behind to swagger in front of the stage or else, tapping on glasses, on a bottle of wine and a Pinkpop bedside lamp on "I Follow Rivers" ! I've added a few extras, from the same day and from an "old" early period ! First of all: thanks a lot for posting Triggerfinger! 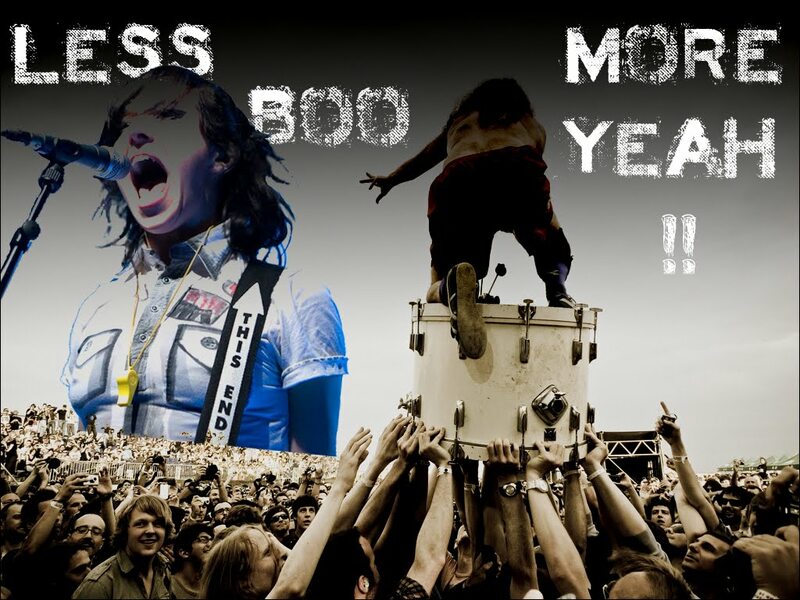 A great YEAH!!! As for FF, I do know the issue (see "The Hives - Webster Hall" comments). Their new layout has made the servers and the access to older files really messy ! I will try to re-zip the whole show and post new links for the down parts, hoping they will fit in with the old ones. It may take long. I'll let you know when it's ready ! Thanks a lot for your quick reply, really appreciated! Anyway, can you give me a new link for part9, need it to open the rest and ofcourse to have it complete... many thanks in advance! I hope everything will work fine for you this time. ;-) It brings back some nice memories !! You just need to sign up (if it's not done already !) and then download the show from the torrent file. Let me know if it's still working (hopefully !) as I may have changed the location of the folder on my computer since the first post (can't remember !). Back again! I sure did replace the new links instead of the older, but no difference. The parts (2&3) cannot be extracted. I guess something is wrong with FF. Anyway, the link for zombtracker worked out fine and that can all be extracted! So, worries all solved! I may have found what went wrong (not sure though !). I downloaded all my own zip files and unzip them all, only part 9 failed. I'll give it another try in the next days (maybe tomorrow) with new zip files. Hope they'll come out fine this time ! Thaks a lot man, but I already have Triggerfinger now from the torrent you gave me... mentioned that in a previous reply... that worked out fine.